Dual view, low conveyor X-ray system for screening ULD type freight and ISO standard pallets. 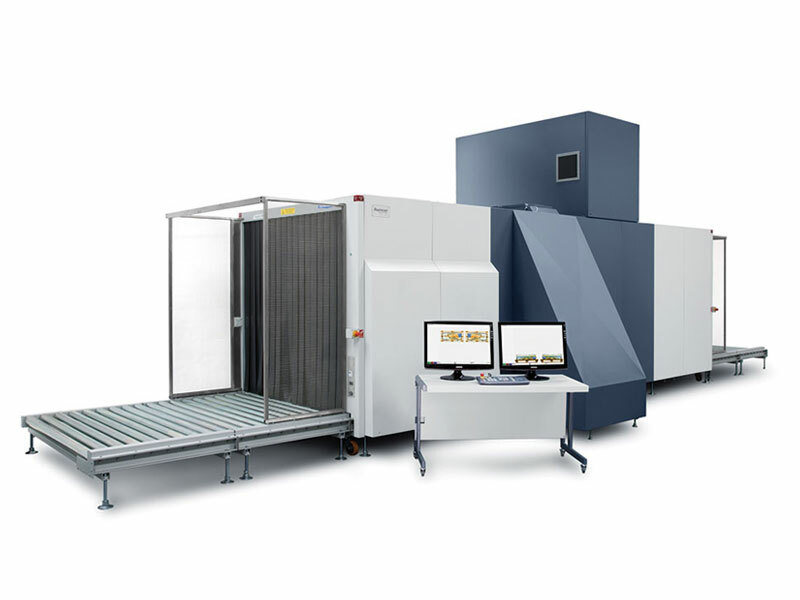 The 638DV is an advanced dual-view X-ray system for screening ULD, ISO standard, lower deck and large cargo pallet type freight. With a large and spacious tunnel size of 1,837 mm x 1,800 mm and explosives and narcotics detection alert feature, the 638DV is widely used for air cargo screening and customs applications where throughput is most important. The 638DV has been approved and included on the U.S. TSA Air Cargo Screening Technology List (ACSTL) and the Transport Canada (TC) Air Cargo Security Program (ACS). 638DV performance is in full compliance with the European Union regulations (EC) No. 300/2008, (EU) No. 2015/1998 and Commissions Decision C (2015)8005 for aviation security.